Gotta’s Farm offers both bag and bulk mulch. We have a variety of bagged soil. Stop by and our expert staff will help you find what is right for your gardening needs. We can also help you find the correct amount that you will need – or figure it out for yourself on our handy mulch calculator below. Brown Bark Mulch — $44/yd. Black Dyed Mulch — $48/yd. Red Dyed Mulch — $48/yd. We offer free local delivery within a 5-mile radius with a 3-yard minimum for delivery. 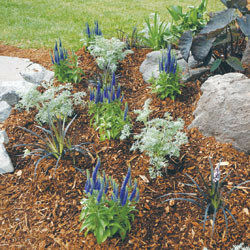 If bulk mulch doesn’t fit your needs, we also offer 4 different kinds of bagged mulch at low prices.